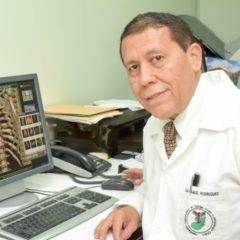 Dr. Luis Linares is one of the most well-respected and uniquely talented radiotherapy oncologists in the Central America and Caribbean region, with over 25 years of hands-on experience in globally recognized cancer treatment centers. 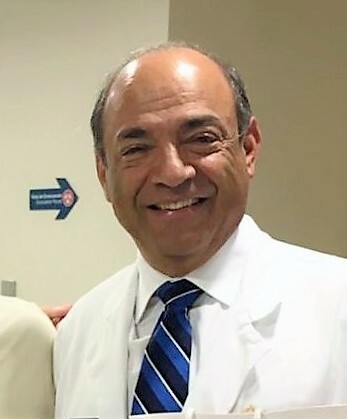 He has performed more than 20,000 cancer-related procedures, from university studies in England, to extensive research and patient care at Memorial Sloan-Kettering Cancer Center, and then as medical director of the New Orleans Cancer Institute. 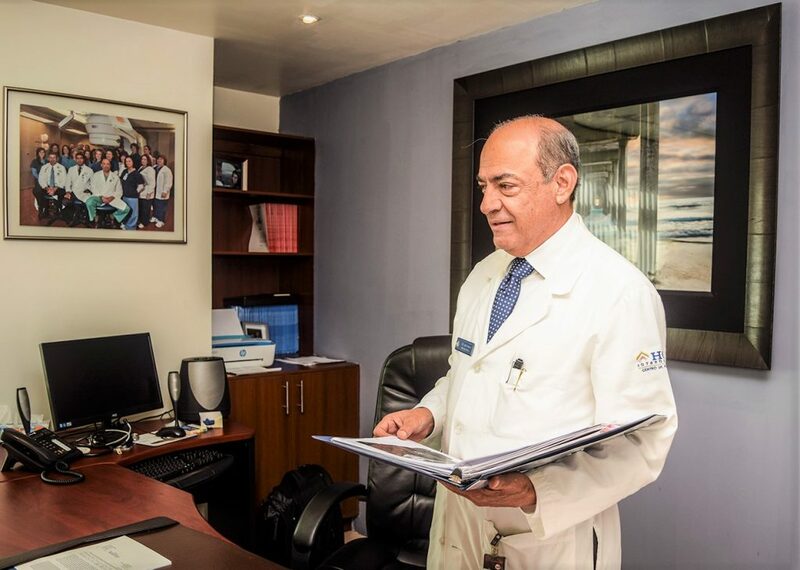 Dr. Linares treats people who suffer from one of a hundred types of cancer, and under his guidance, each patient who enters HOPE International feels like he or she is the most important person in the world. 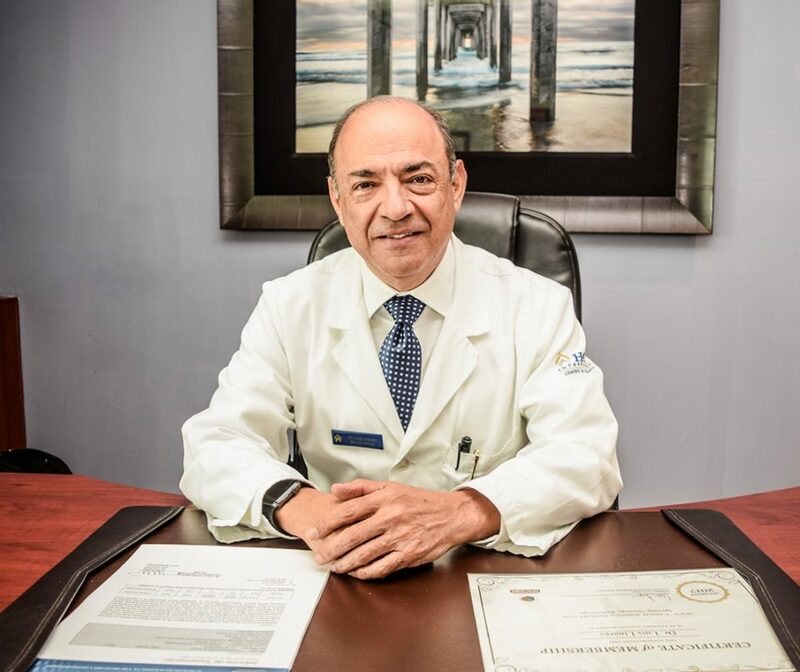 They depend on his expertise to diagnose with assurance, and to coordinate care in a manner that Dr. Linares describes as “the art of medicine” – precisely sculpted and balanced, sublimely executed, and ultimately successful. 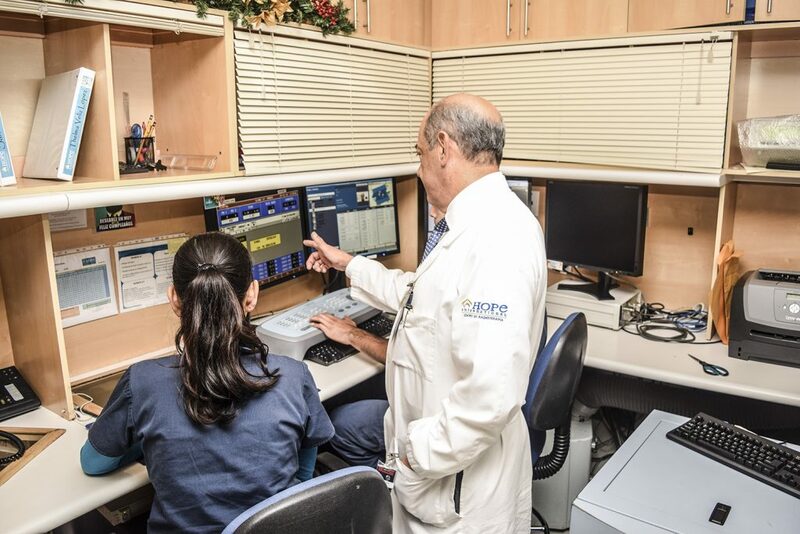 After a hurricane destroyed the New Orleans medical facility, Dr. Linares returned to Guatemala with the vision to create the HOPE International Radiotherapy Center. 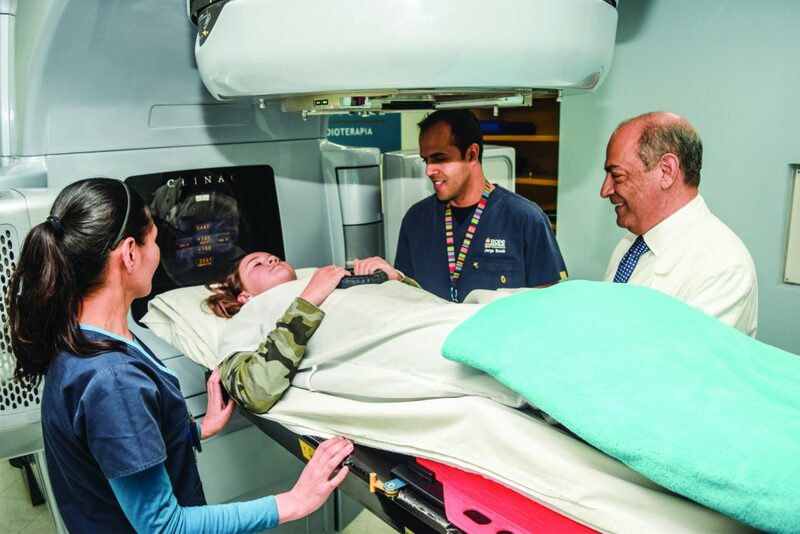 With a six-million-dollar investment, they opened in 2009 with some of the most sophisticated image-guided radiotherapy instrumentation available in the world. 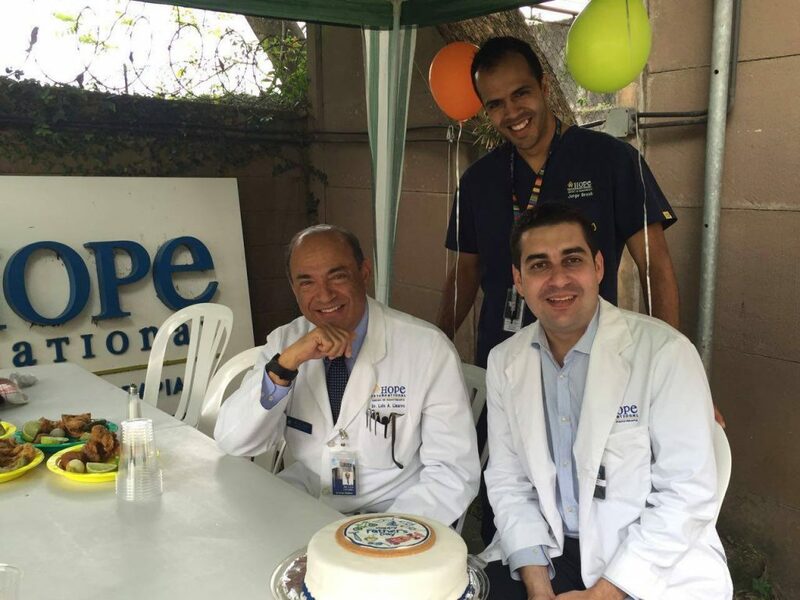 HOPE was the first cancer treatment center in Latin America to implement the volumetric arc for high-dose rate brachytherapy technique. This machinery and software were just recently developed and manufactured by the most cutting-edge scientific institutions in the world. To maintain the highest standards, the medical staff had to be trained to be equally as effective and successful. 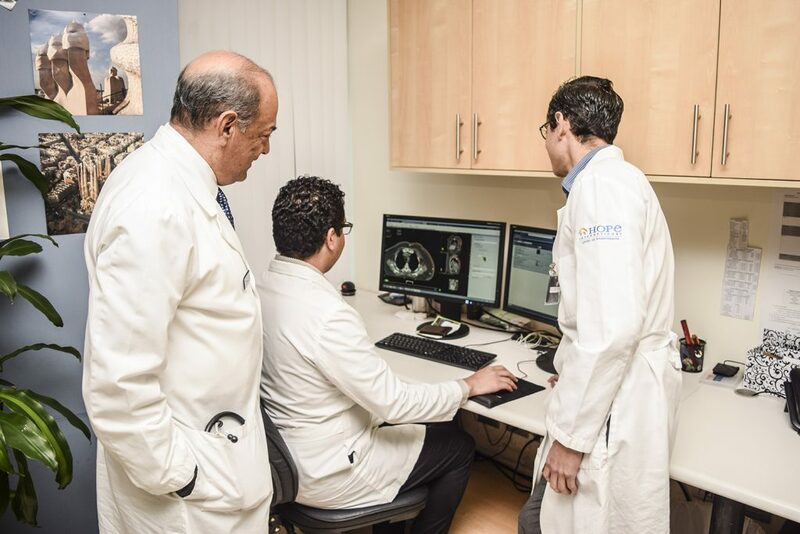 Under the direction of Dr. Linares, the team of two radiation oncologists, a medical physicist, and radiation therapists received intensive training in the United States or Europe. 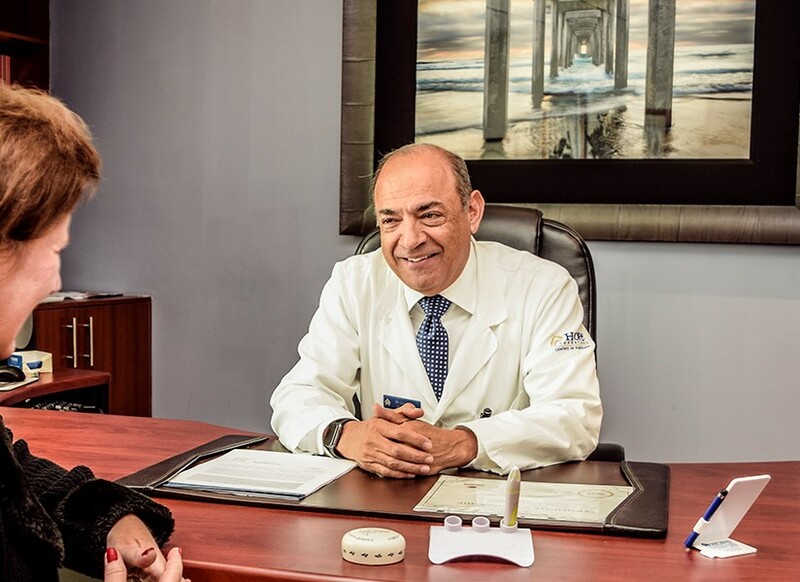 Dr. Linares is devoted to empowering his team with the highest level of professional training, because these people are entrusted with patients who need precision expertise in their treatment plan. Now, at the most vulnerable point in their lives, patients need to know that they will receive the best care possible and the attention they deserve. 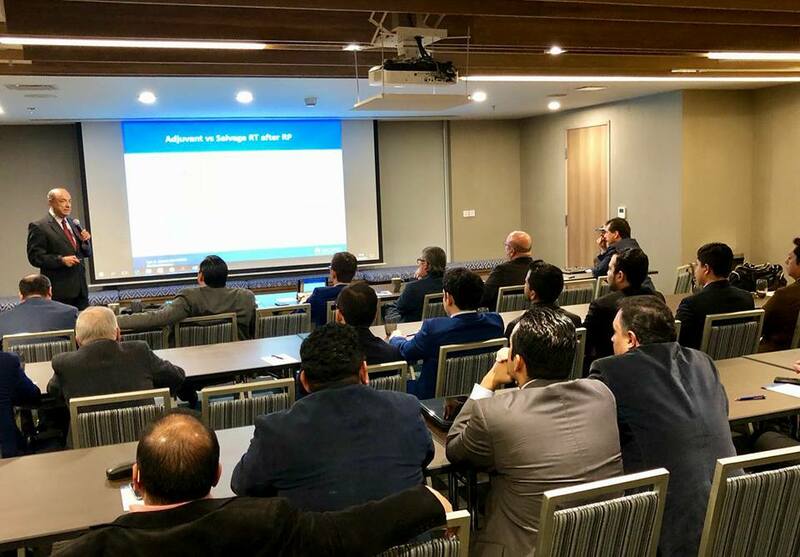 Like the best cancer treatment centers in the United States, Dr. Linares convenes a “Tumor Board” of highly skilled and globally respected physicians to evaluate and confer over the diagnoses and treatment plans of various patients. 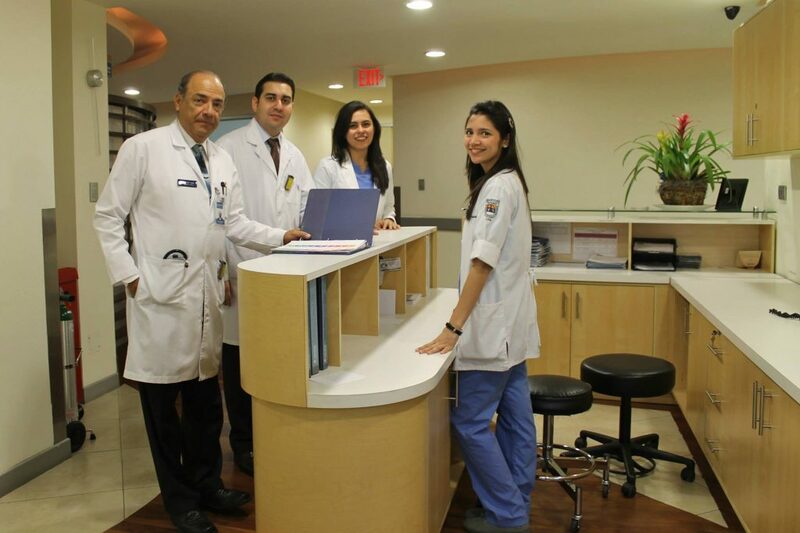 The tumor board consists of specialists in oncology, immunotherapy, hematology, interventional radiology, and pathology. These doctors are top-notch in their fields, working together as a team to impact the patient’s treatment plan toward a successful recovery. Determining the most effective course of treatment is not always a clear choice, as it is the result of extensive testing and careful planning by a team of cooperating specialists. Dr. Linares says that having a combination of doctors working in collaboration is making a difference, to improve management and patient outcomes. 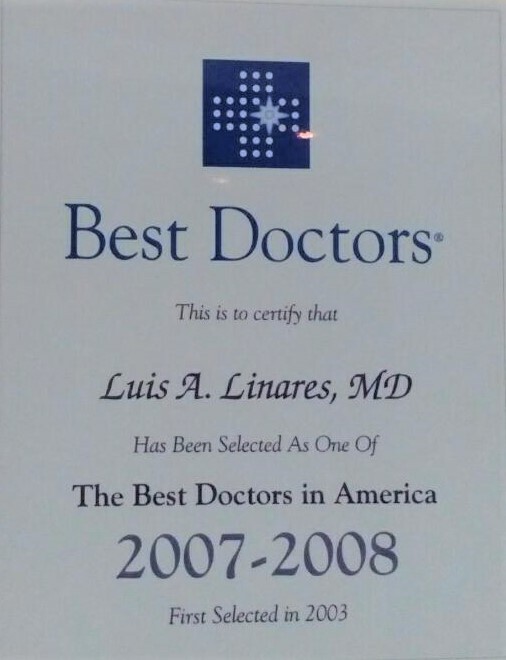 When patients expect an honest explanation and precise medical treatment plan, they depend on the wisdom, experience and compassion of Dr. Luis Linares to guide their decisions every step of the way. 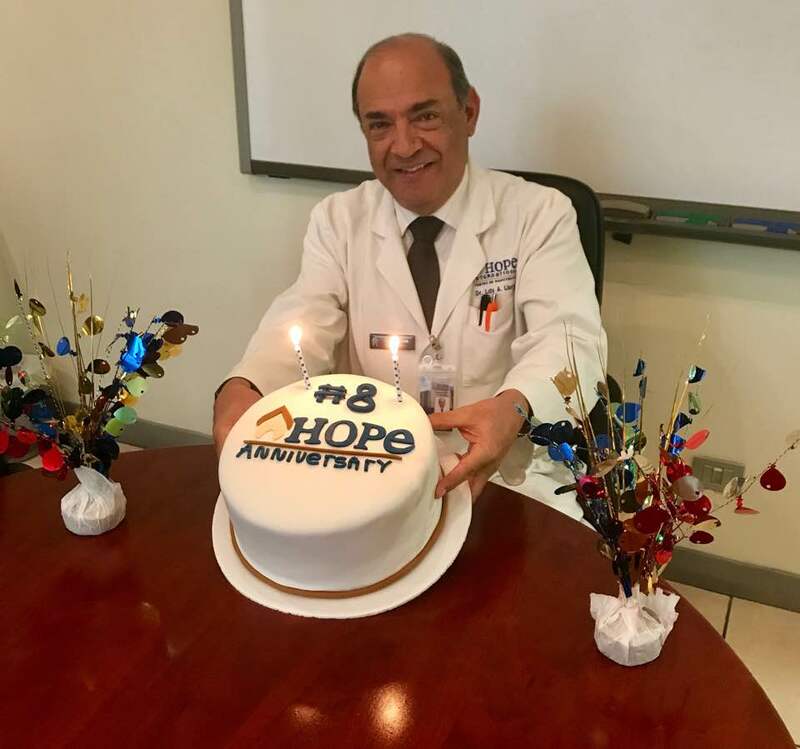 More and more, patients of Dr. Linares are experiencing another set of emotions regarding their cancer treatment today: Hope, bravery, triumph, relief and gratitude. “Valued member in good standing of the America Medical Association, and is committed to upholding the principles of medical ethics, which set the highest ethical standards for the profession.” Member since 2009. 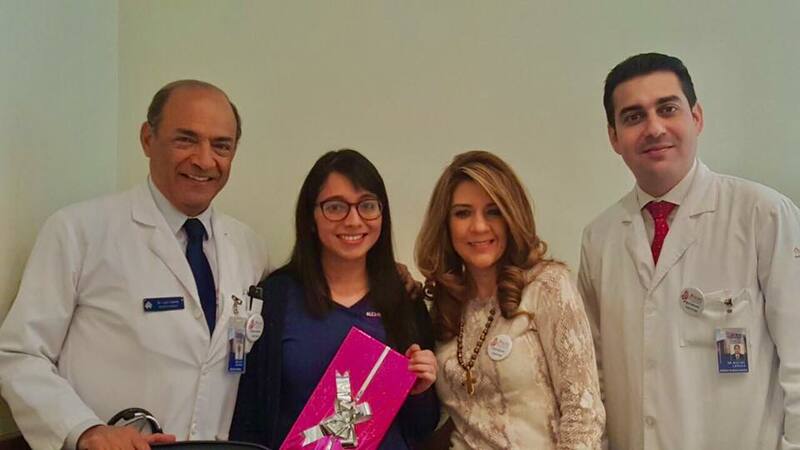 Invention: “Device for Radiation Treatment of Proliferative Tissue Surrounding a Cavity in an Animal Body”. Just say the word…. “Cancer” ….and all sorts of emotions arise. Maybe we remember the sadness and loss of a co-worker or neighbor. Sometimes the grief strikes closer to home, like my husband, or your sister, or worse, a child. But more and more, we are experiencing another set of emotions regarding cancer treatment today: Hope, bravery, triumph, relief and gratitude. In the United States, one in six people is expected to suffer some form of cancer in their lifetime. With this sobering statistic regularly in the news, you must wonder how this disease might affect your lifestyle, family relationships, and retirement fund. 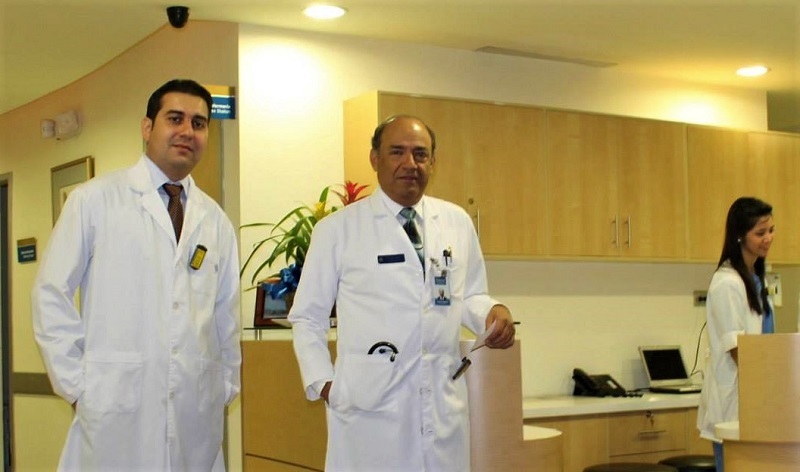 In Guatemala, we are proud to offer three Cancer Treatment Centers and top-notch oncologists, each with a separate focus, that can work in conjunction as a team, together with the surgeons, to impact the patient’s treatment plan toward a successful recovery. 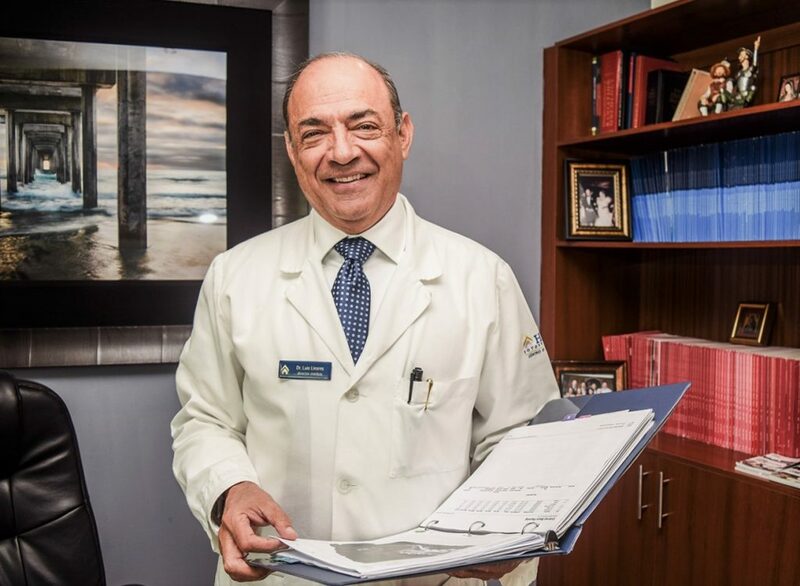 Dr. Luis Linares of Hope Radiotherapy Center has over 25 years of experience performing 25,000 cancer-related procedures. 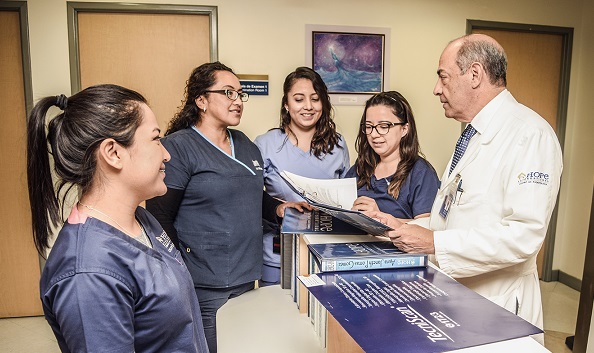 From university studies in England, to extensive research and work at Memorial Sloan-Kettering Cancer Center, and then as medical director of the New Orleans Cancer Center, he has brought his skills and expertise back home to us in Guatemala. 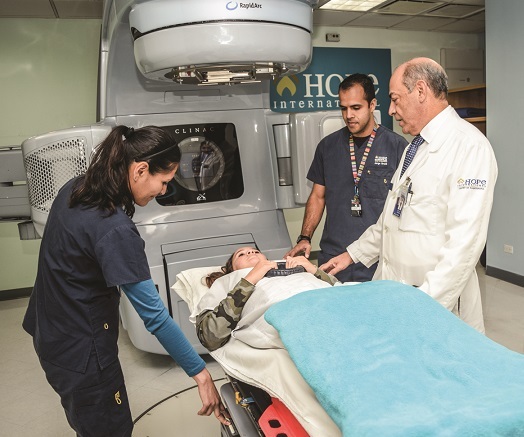 Offering radiotherapy and brachytherapy, Hope International opened in 2010 with state-of-the-art cancer treatment technology which surpasses the quality available in many of the cancer hospitals in the United States. Radiotherapy involves directing a specialized external beam into the tumor to diminish or destroy it, while brachytherapy is a time-release method of implanting seeds that release radiation in specific daily doses. In both of the non-painful treatments, no surrounding tissue is damaged. 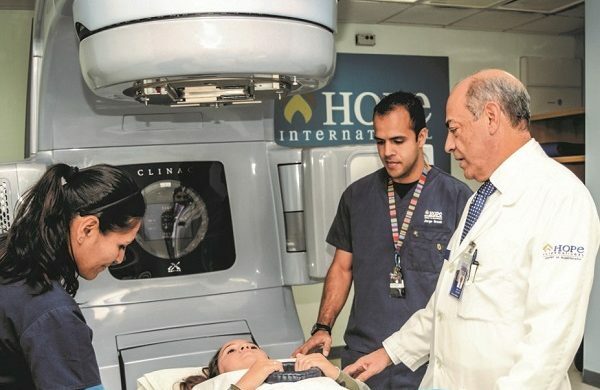 At Hope International, eight weeks of radiotherapy treatment, with five sessions per week, costs around $12,000, compared to $70-90,000 in the U.S.
Dr. Luis M. Zetina Toache is a leading figure in Latin America in the field of immunotherapy and the latest technologies in cancer treatment. 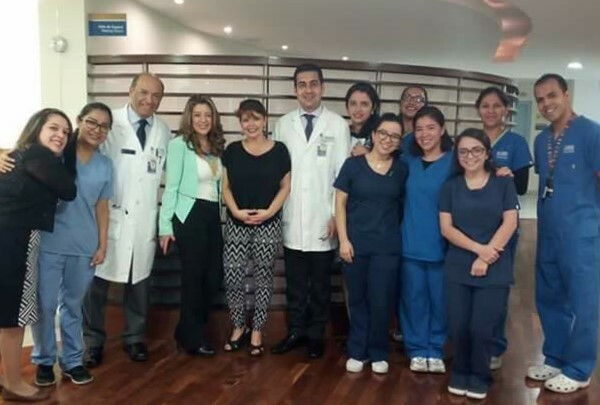 As medical director of Oncomedica Cancer Consultants since 2000, Dr. Zetina conducts high-level scientific research on new cancer drugs, here in Guatemala, fully supported by the FDA. 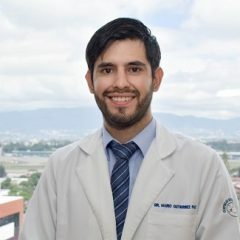 He has participated in research protocols on Herceptin, Avastin, Tarceva, Xeloda and other drugs to successfully treat cancer with the latest advances in chemotherapy treatment methods. 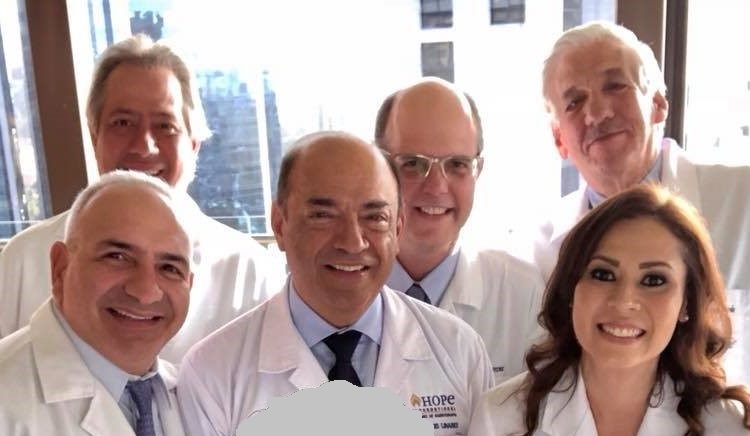 Dr. Zetina is a member of the American Society of Clinical Oncology, the European Society of Medical Oncology, and of the Chemotherapy Foundation, a non-profit organization founded by Dr. Ezra Greenspan of the Mount Sinai School of Medicine in New York. We are grateful to have the benefit of his many years of cutting-edge skills and research available to us here, in zone 15, Guatemala City. All the physicians agree that early detection is the best hope for a cure. 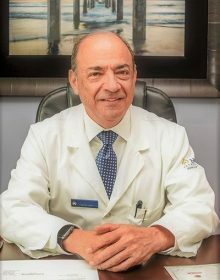 Since it is more difficult to treat patients who may have been mishandled or misdiagnosed by other doctors, the most highly skilled cancer specialists agree that the personal situation of each patient must be carefully analyzed before deciding which treatment plan will give the best possible chance of success. I am Ben’s father and a retired, academically-based pediatric nephrologist. On behalf of Ben’s mother and myself, please accept my sincerest thanks and gratitude for the impressive skill and experience you brought to this encounter, and for facilitating his referral to an Ear/Nose/Throat specialist for further evaluation of his hearing loss, dizziness and post-cervical lymphadenopathy. We are hoping to visit Ben in the near future and would like to visit your cancer center as well. Thank you in advance for any further assistance you can provide, and continued success in your important work. During our personal and professional lives, we receive various recognitions, prizes, tributes, and such. We remember the feelings of happiness, satisfaction, and commitment with gratitude and nostalgia. 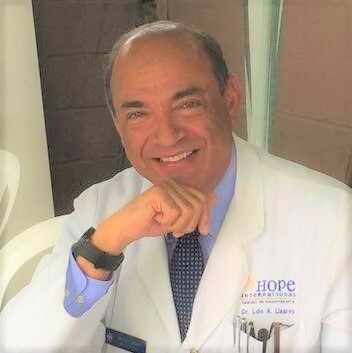 However, in my case, nothing is comparable to the depth of emotion that I experienced with you, Dr. Linares, and your wonderful medical staff at HOPE International. 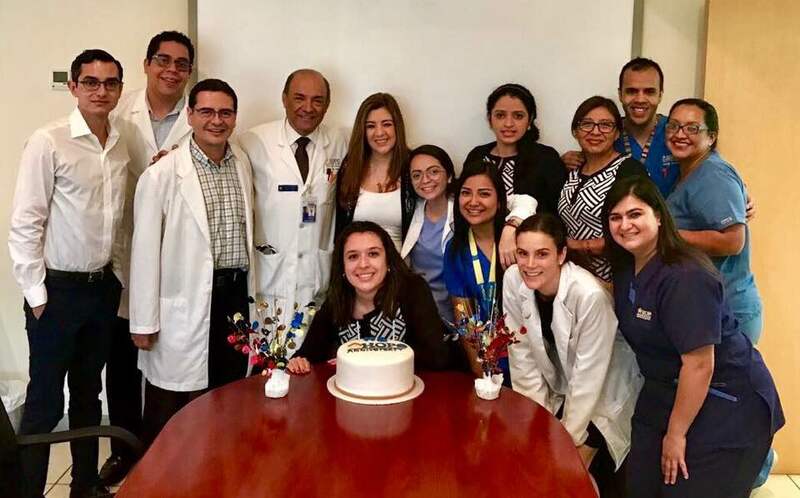 I will always remember that day, Friday July 17, 2016, when I opened the door to face the group of nurses and technicians that I barely knew a few days before, and saw their radiant faces. I could read in each one the genuine desire to share the appreciation for the improvement of my medical condition. It was hard for me to control my emotion and maybe should apologize for that. “Hope” is an institution whose name reflects the true reason of its existence. Many of us arrive here because it is the only “hope” that we have left to cling to. From the first time I arrived to Hope International, I knew that we would recover what was previously lost by the attitudes of other cancer centers. Just like “love at first sight”, I had “Hope at first sight”, knowing that you would give us an encouraging, promising future, with the possibility of there being more tomorrows with a better quality of life. 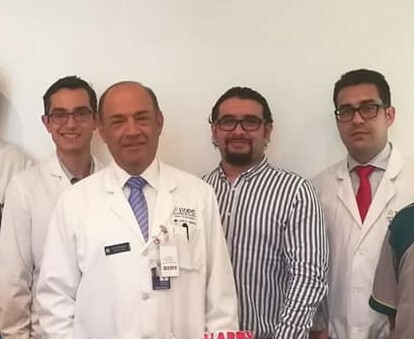 I only wish we had a more powerful term than the usual “thank you very much” to express the real dimension of gratitude I have for you, Dr. Linares, and your magnificent team. I am grateful to have enjoyed the privilege of your attention. In the name of all of us who come to you, I say “THANK YOU” with capital letters, but it means so much more than that. 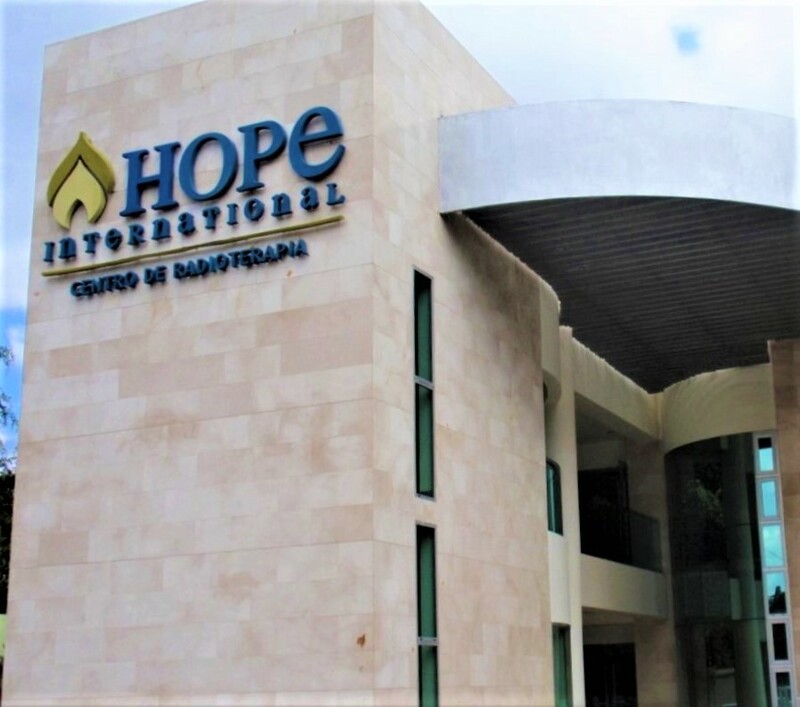 Hope International is located on the “Medical Corridor” of 6th Avenue in zona 10, six blocks from Avenida Reforma and three blocks south of 2nd Calle. Continue south, past Centro Medico, and turn left into the parking area, across the street from 4th Calle.